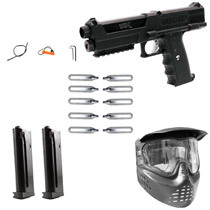 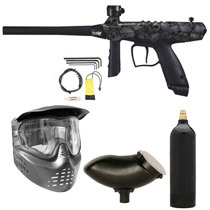 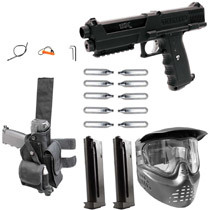 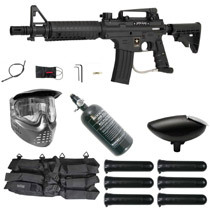 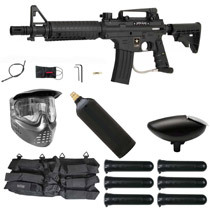 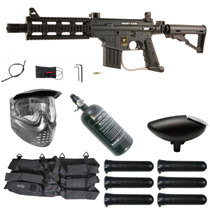 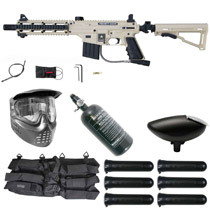 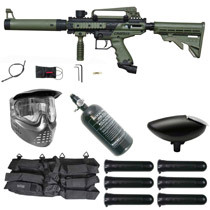 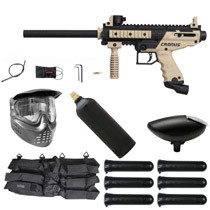 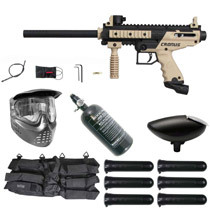 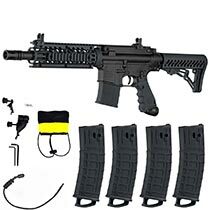 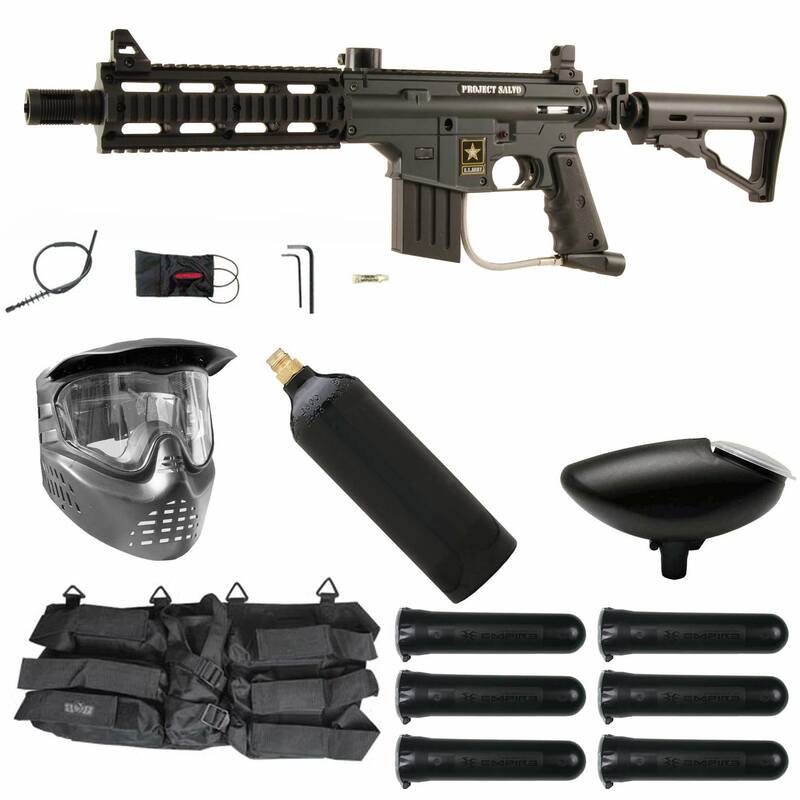 The Tippmann US Army Project Salvo Paintball Gun in Black package comes with everything you need to get started. 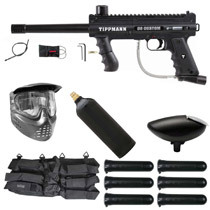 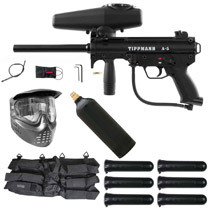 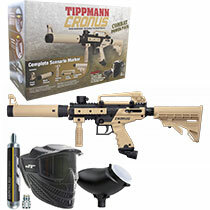 Save some money with the Tippmann package and it will keep you competitive on the field for years to come. 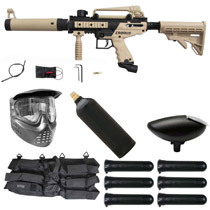 Exciting new marker from U.S. Army Paintball featuring a six position collapsible and foldable stock, an AR15 style shroud with four built-in Picatinny rails and a new AR15 style magazine that doubles as a helpful toolkit. 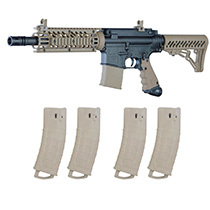 The marker also incorporates a flat-top Picatinny rail built into the receiver, which makes it simple for players to quickly add a handle, site, scope or a variety of other modifications. 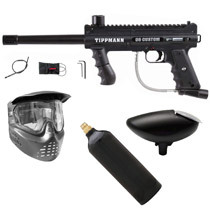 As an added benefit, the Project Salvo marker can be easily enhanced with an eGrip as well as several other performance upgrades from the Tippmann 98 Custom Platinum Series, including the Cyclone Feed System, Response Trigger and Flatline barrel. As with other U.S. Army Paintball markers, Project Salvo also comes with a training manual that offers helpful advice regarding paintball strategy and teamwork. 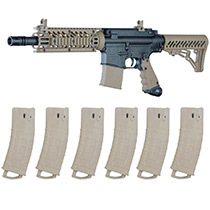 AR15, which would go on to become the M16 – widely considered among the most respected and proven rifles ever utilized by the United States armed forces. 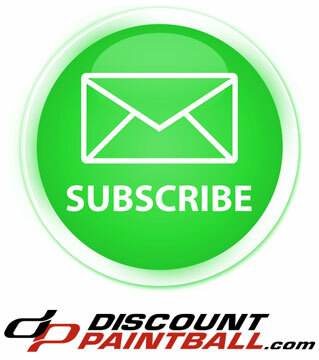 Q: Can u use compress air with the project salvo or do u have to use co2 ?